« Breaking News!!! : The Stig visits our boys in Afghanistan……. Is twitter killing our law? Is blogging killing our law? The recent, and rather absurd, High Court case about The Stig’s identity – known to countless people and available on the net for some time – has brought into sharp relief the issue of suppression of information, commercial interests and the controllability of the media. The High Court’s writ has only ever run in England & Wales. Scotland has a separate legal system. The world has many legal systems. In pre-internet days it did not matter that much – newspapers could be (and still, to some extent are) cowed into withdrawing publication of ‘inconvenient’ information by a letter from a specialist firm of libel lawyers. The chilling effect of a libel letter is known to many. Libel tourism, libel reform and the whole issue of a right to privacy is very much in the frame for debate and law reform. It is widely believed that there at least three superinjunctions out there protecting the commercial interests / private lives of leading footballers granted in recent weeks / months. I don’t know. In fact, none of us are supposed to know. That is the point of a superinjunction. As an aside – I don’t buy into the ludicrous claim by Harper & Collins that their victory in The Stig case is a victory for freedom of speech. My view is that it isn’t. That case is all about commercial interests and the claim by the publishers demeans the noble ideal of ‘freedom of speech’ when it really matters. Guido Fawkes published information on his blog about William Hague and his SpAD (see the follow ups on his blog). This has led to a great deal of vitriol and Hague issuing an emotional statement about his private life – which, being fair, is his business and his alone. Sundry kneejerkers got in on the act and published tablets of stone on their blogs, some even , absurdly, criticising Guido for what they had themselves, in earlier times, done! – their motives for doing so, possibly honourable, possibly self aggrandising. It matters not. I am getting to the point..
Today, in The Times, Frances Gibb wrote a fascinating piece entitled “Law struggles to keep up with bloggers”. I can’t give you a link – because The Times is now behind a paywall. Gibb notes the Hague / Myers case raised by Guido – and now countless others. Mark Stephens, a well known media lawyer with Finers Stephens Innocent makes the point: “The internet is not a law free zone…but once material is out there, it is very difficult to put it back”. I suspect that Mr Justice Morgan in The Stig case had this phenomenon in his mind – I will read the judgment. I have not done so as yet. 1. I am not at all sure that the supposed lack of accountability of bloggers et al dilutes the value of what they say. Bloggers (who may not be worth suing because they have no money) often have wider reach (and knowledge) than some quality specialist newspapers and even broadsheets in the case of the leading political bloggers. This is particularly the case for political bloggers. They also have an audience, net savvy, who repeat the information and, thereby, dissemination is remarkably wide for big issues. I am not at all sure that people regard the writings of journalists from politically biased newspapers as any more authoritative than independent (but politically aligned) bloggers. This may well come as a shock to traditional journalists and TV autocuties – but life in the internet age has changed influence and the dynamics of commentary on the events of our times. The days of reading the news in a dinner jacket are long gone – thankfully. Do ‘people’ really rely on the information in newspapers and TV broadcasts these days? I’m not so sure they do to the extent that Dan Tench, impliedly, supposes. I regard the leading political bloggers as being better informed and capable of sharper analysis than many of the journalists writing in the newspapers. I have also found this to be the case in the field of finance, economics and science. That, of course, is a personal view and not ‘evidence’! 2. The traditional media is accountable to law. Unfortunately / fortunately, for bloggers and users of twitter – so are we. So that is not the forceful point it seems to be – but I will admit that a newspaper or TV station is an easier target than a host of bloggers, libertarians, conspiracy theorists, nutters and anarchists – some of whom are very poor and neither contactable through anonymity or worth suing. 3. What it (Traditional media) has to sell is its authority – and that is the difference. I don’t really think I need to comment on that. You will draw your own conclusions on the reality of that statement. And… if you really want to make a complete hash of things, involve lawyers, and try to suppress the unsupressable – just be warned about The Streisand effect. Trafigura and others have found out about that to their cost. The genie is out of the bottle – but the law is not being killed. It will simply have to adapt to accept a reality. I don’t, personally, think that that is such a bad thing. As always – for I am merely a commenter not a pronouncer – your comments will be most welcome. Note: Mark Stephens and I plan to do a podcast very soon – it would seem that we have many things to discuss. Coming soon…. Good post. Qn: does the Scottish press publish things that the London press won’t touch? Or is its distribution in England wide enough, and the enforceability of English law against Scottish entities significant enough, that it’s bound by English law in practice anyway? I don’t think the law in the UK is quite as sacred as you seem to think it is. Perhaps I can answer johnband’s query. Historically the Spycatcher litigation ran into trouble when the failure to obtain an interdict in the Scottish courts meant that viewers in Scotland had different news bulletins from those in England & Wales as what could be reported was not covered. Even late last year during certain matters at the end of last year it was notable that while the existence of a injunction was not reportable south of the border (and was not published on a Scottish papers website) articles referring to the matter appeared in the final edition of the paper version of a leading Scottish quality paper (distributed only in a limited area around the place of publication). The expansive approach of English courts in relation to jurisdiction (to a non-English lawyer often with questionable justification) means that in on-line publication Scottish publications have often been cautious – despite domestically Scottish courts rejecting spurious claims based on accessing on-line information within Scotland’s boundaries: http://www.scotcourts.gov.uk/opinions/2010CSIH67.html being a good example. Obo – I do not regard the law as sacred – it is a living entity – fallible, but capable of change through political pressure and endeavour. It is, however, a ‘glue’ which moderates and can build society. We call it the rule of law – for the absence is worse than the presence. History has shown us that. I am not an old fashioned law commentator! I welcome change and a law that people accept because it is ‘our’ law and not the law of a ruling and landed class. Thanks L&G – appreciated… I know little of Scots law – though learning gradually! Frances Gibb’s remarks are pretty ironic, given the super-injunction was spawned by the ‘traditional media’ tendency to ‘mis-report’ the facts, if not simply make them up – see Flat Earth News (http://www.amazon.co.uk/Flat-Earth-News-Award-winning-Distortion/dp/0099512688/ref=ntt_at_ep_dpi_1) and accompmanying blog (http://www.flatearthnews.net/blog). Whilst there is are very knowledgeable, expert, insightful commentators out there putting professional journalists to shame there is little consistency in terms of quality of output. An individual blogger may be reliable, expert etc etc but the blogosphere less so. 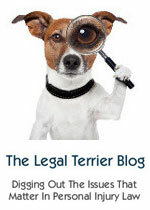 In my field (family law) there is a vast ‘underworld’ of amateur bloggers, largely parents or disgruntled litigants or campaign organisations, who gaily publish vast amounts of information whilst most professionals involved in the family justice system diligently look the other way and pretend it’s not happening. The danger of this is that the intelligent debate, legitimate complaint and good ideas are not heeded or fed into the system or plans for reform, and the inaccurate, harmful or defamatory material is widely circulated, often in breach of the law, under the radar and to the detriment of individual children, families, or professionals who may be targeted and the reputation of the system at large. I have had cases where injunctive orders have been made to prevent further publication online via recognised media sources, facebook or other fora, but there is an enormous amount of concerning and wildly inaccurate or misleading material out there that just sits ‘out there’ and is corrosive in its effect. Slightly off point but from my perspective the family end of the justice system is struggling to keep up with this. Familoo / Pink tape – As you know, I know little of your field – but the points you make are of wider application. The great thing about twitter / blogging is that it enables many to write/comment in a very immediate way not possible in the past. Inevitably – pluses and minuses. I read a fair number of blogs and I enjoy doing so – perhaps I spend too much time on the net! Familoo’s point’s a good one – in general, most celeb-gossip is pointless to try and suppress by law, and most political/terrorist-y/alleged-spy stuff is actively best disclosed rather than suppressed – but the family courts are an area where anonymity exists for a bloody good reason, and where some tool with a FB account can easily ruin it. Johnband – Yes…. absolutely….. and even I know that that is a possibility and I know very little about Family Law. Like tabloids, but less easy to sue? @familoo I understand the content quality problems you mention. But that’s merely to state the fact that we have ‘information overload’, which we’ve had since Gutenberg invented the printing press and will continue to snowball. New and better filters are needed if, as you say, “intelligent debate, legitimate complaint and good ideas are not heeded or fed into the system or plans for reform, and the inaccurate, harmful or defamatory material is widely circulated”. I’ve been in the midst of posting about this for some time (here it is: http://sdj-pragmatist.blogspot.com/2010/09/publishers-need-new-filters-and-friends.html). Some of those filters might be legislative or judicial, but that system is struggling as you say, and those filters should respond to behavioural trends, not try to pre-empt or set them. They’re also national, slow and expensive compared to what technology and people’s common sense enables. Excellent piece, Charonqc. I just hope that our libel laws get amended soon. The sight of foreigners coming to our shores to prosecute cases against other foreigners because a couple of copies of a book may have been bought in the UK from amazon makes a nonsense of the English legal system. “being accountable to the law” isn’t enough to give the traditional media authority – and in many ways the fear of being accountable to the law, the chilling effect, can just as easily lead to a lack of authority and an unwillingness to step off the safe ground. I also think the old chestnut about bloggers “not being worth suing” is overused unless the celebrity or corporation being defamed is genuinely only interested in recovering a loss they have suffered (which is not a necessary ingredient for a libel action in any event). I may not be “worth suing”, but the reality is that a libel claim, damages award and a bankruptcy order would have fairly horrendous consequences… and in many ways that is more of a deterrent to the blogger than to a newspaper which can afford to pay a damages award. There are bloggers whose output doesn’t really add anything to the debate (or who can even undermine the rule of law) as other commentators have pointed out. Equally though there is a lot of journalism which isn’t worth the paper it is written on – just look at the number of column inches devoted to a cat (unharmed) in a wheelie-bin versus those written about the ongoing disaster in Pakistan. jac: unfortunately for some of us – bloggers are just as easy to sue, but less able to pay. as peninsulalawyer points out. The best blogs are far superior to most professional journalism. The worst are also incomparably bad. The ability of the public to scrutinise quality of writing, quality of source material and evidence and to assess truth or accuracy is as variable as is the quality of the material they are reading. I enjoyed very much the polemic of your post. It is helpful to see how the evolution of new vs. traditional media is helping to or reshaping the way in which the law may be made or applied. The law is the law and although the policing of it may be harder, I do not envisage the need to start regulating Twitter or Blogs (not that anyone appears to be advocating that). I would be much more impressed with what traditional media had to say if they were willing to engage with the social media paradigm that incorporates Twitter and Blogs. How many times have I left a comment on a blog to hear ….. a big fat nothing. This just instils in me the fact that they wish to constantly control the message and that is one of the reasons why independent blogs are and will remain so popular. I have a great deal of time for Ms Gibb but I think, in the evolving days of the iPad et al, the general public are more likely to want to pick and chose the news as they wish, even if that is from some supposedly unaccredited source. I hope in time that newspapers try to work out a way of working in conjunction with the new media and stop fighting it. The driver of revenue should not be overlooked but neither should the mode of transmission of news. There is the potential for there to be an element of truth to that, sadly that potential will never be realised. To get an idea of what’s actually going on in the world these days (especially with regard politics) you often have to read the same story from several sources, and often the best of these are not newspapers. Science is infinitely better reported on the web than in the mainstream media – it’s often complicated, and hard… and doesn’t make for a snappy headline however much The Daily Mail announces a cure for cancer every time a preliminary trial goes well. … I may have drifted off topic a touch. Sorry. I suspect it’s only a matter of time before the law catches up with technology – she’s a slow old beast, but she gets there (or thereabouts) in the end. As ever we are depending on MPs and judges not to make a mess of what should be simple and natural growth. Julian – Thanks for the acute observations – one of the difficulties with Twitter for bloggers is that comments on twitter outnumber comments on blogs many times…. the tragedy of that is that readers of blogs and comments may not see the useful and often interesting twitter observations because they are either not on twitter or do not follow that tweeter. But.. that is the net. Newspapers get many comments on their online offerings – but, interestingly, (perhaps not surprising) the newspapers or writer of the story tend not to respond to commenters. Most bloggers I know do respond – sometimes, of course, there is no need to respond – the comment stands for itself – and the blogger tends to know the poster of the comment will not be offended. I’m just pleased that blogging is surviving despite the onslaught of 140 character posts on twitter! I shall, however, blog to the going down of my sun – because, being honest, I am delighted that people read my sense and non-sense – but I am not counting – and never will – as so many seem to to do! I’d still rather read the pol bloggers even if many are a bit ‘eccentric’ – in a good way. Well said Charon. The law will have to adapt, and I believe it is already adapting. The slight increase in the use of superinjunctions may be evidence of this attempt to respond to an ever changing world of communication and dissemination. The arguments as to whether this mechanism is justifiable are, I think, perhaps best left for another post. But it is worth remembering, as Mark Stephens said, that once the words are uttered they cannot be retracted. As William Hague has discovered, reputation is everything. I have been very dismayed by the media’s bloodbath on Hague. There have now been calls (from the media) for him to resign. Why? What has he done wrong exactly? If he is telling the truth, then absolutely nothing. Even if he were gay, and had been hiding it, which he has, to his and his wife’s personal cost, denied, I still don’t see why that would merit this circus. Responsible journalism is dead. The Times languishes behind a paywall. We have a Tory-libdem coalition. The corner shop has run out of nutella. This country is making me dizzy. It’s a matter of his lack of judgement, and there are still unanswered questions. And the media frenzy followed his public statement. Which meant that everyone now knows about the rumours. Would he have shared a room with a female aide? having missed Laws and Blunt. Regardless of the lack of judgement, IMO the press vitriol isn’t warranted- and this isn’t the only instance where media vitriol has been sorely misplaced. I don’t champion the rich, the political elite, Hague or any of that. I just believe that the freedom of speech enjoyed by the press is far too often abused, and to me, this is an example. It started as Internet rumours with limited media coverage. It was Hague’s statement that made it headline news. I’ve no interest in his personal life but think there is legitimate media interest in a cabinet minister who makes two errors of judgement like this. MP’s set the scene for present day scrutiny and thus there isnt much that isnt fair game. Hague overreacted and didnt really need to substantiate sharing a room so vehemently. The intense protestations combined with an obvious affordability in terms of room rates wrapped up with the emotional matter of a wives miscarriages seems to fan the fire of suspicion in my view. This episode follows years, nee decades, of MP’s abuse of financial, personal and political trust, where MP’s decided what we needed to know plus what little they had to pay for. Not least; flipping, flopping and bed-hopping (there’s much more to come). When the Commons and Lords members have operated for a substantial period beyond reproach, you might have a point. Excellent article Adam – thanks for commenting…… enjoyed reading it. Your chambers – 1 Crown Office Row – to be applauded for the excellent human rights material you have made available online for some years. Delighted to see it continuing! I’m glad to visit for the first time here let’s hope this visit continues until a beautiful friendship.